O’Neal’s third grade is researching the concept of “Farm to Table”. Teacher Lindsey Imbs was listening to “Milk Street” on NPR where they were interviewing Mark Bittman, American food journalist, author, and former columnist for the New York Times. 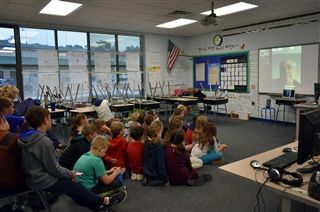 She emailed him and to her surprise, he replied eager to talk with the third grade and write about the students and their “Farm to Table” project-based learning (PBL). 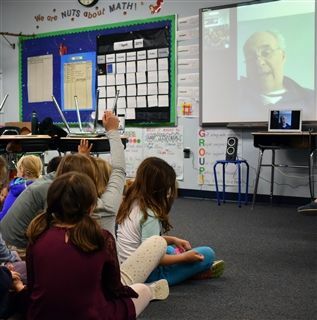 Monday, the third grade talked with Mr. Bittman via face time. The students asked him questions regarding his work, growing produce and his thoughts about “Farm to Table”.